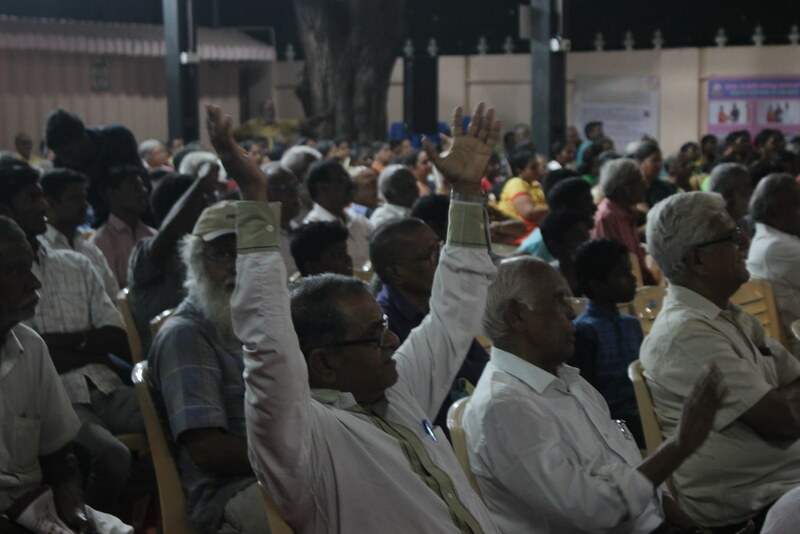 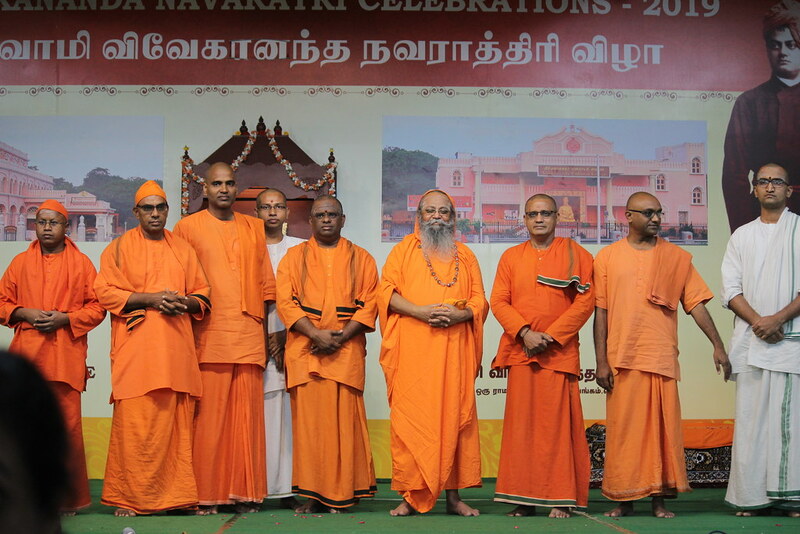 The eighth day (13th Feb) of Vivekananda Navaratri Celebration 2019 started at 5 pm with prayer. 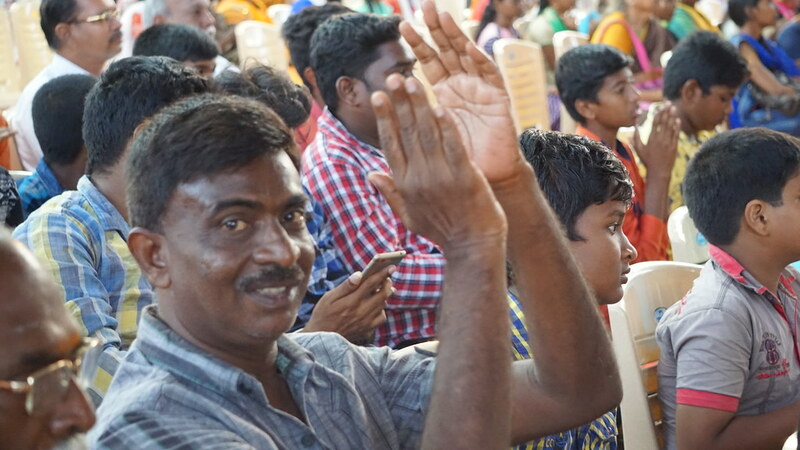 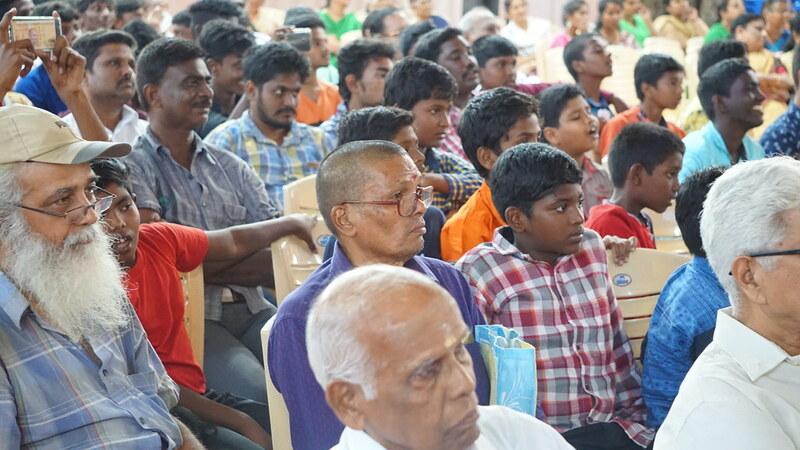 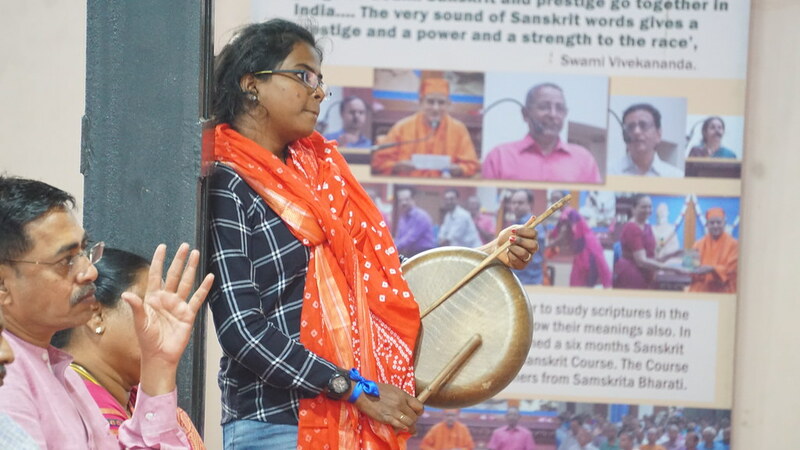 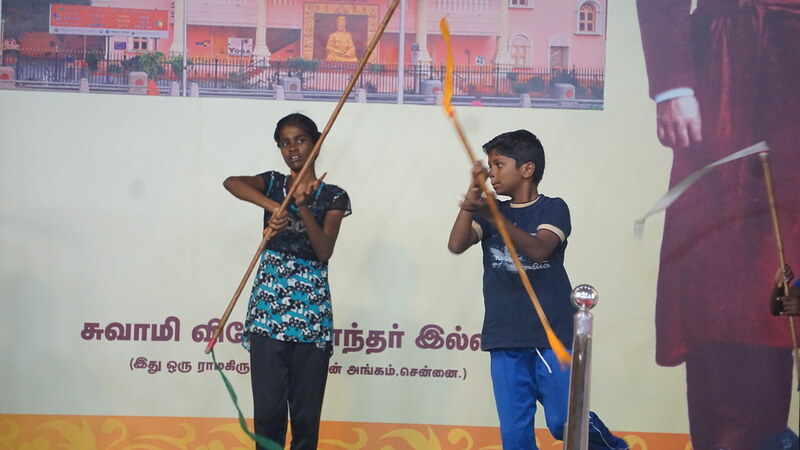 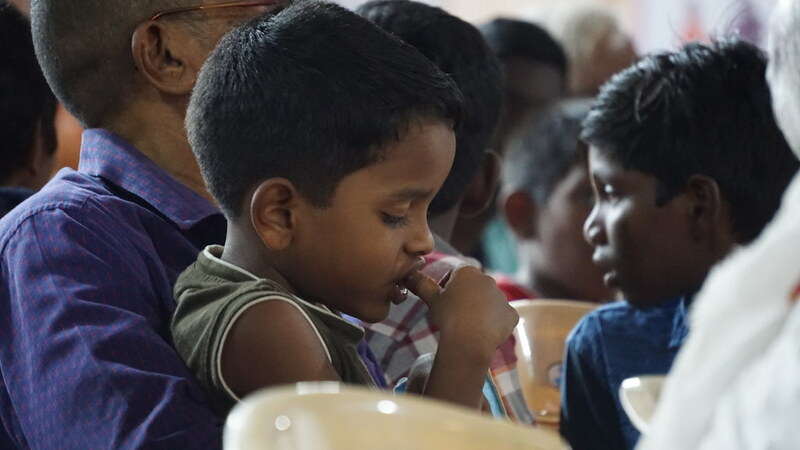 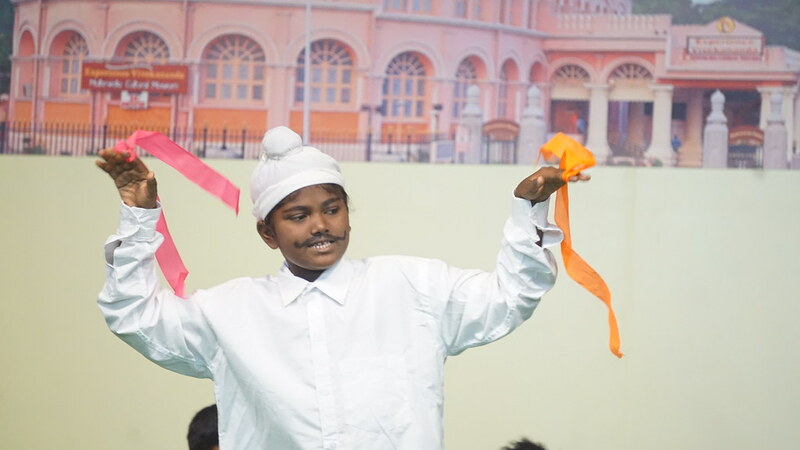 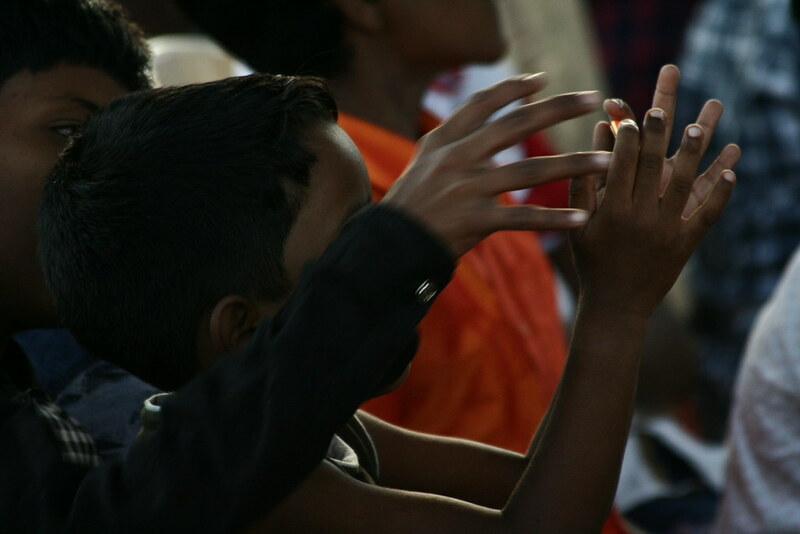 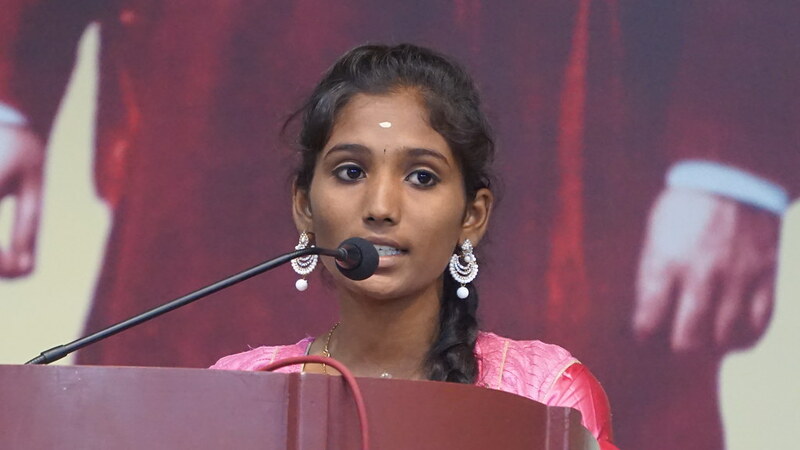 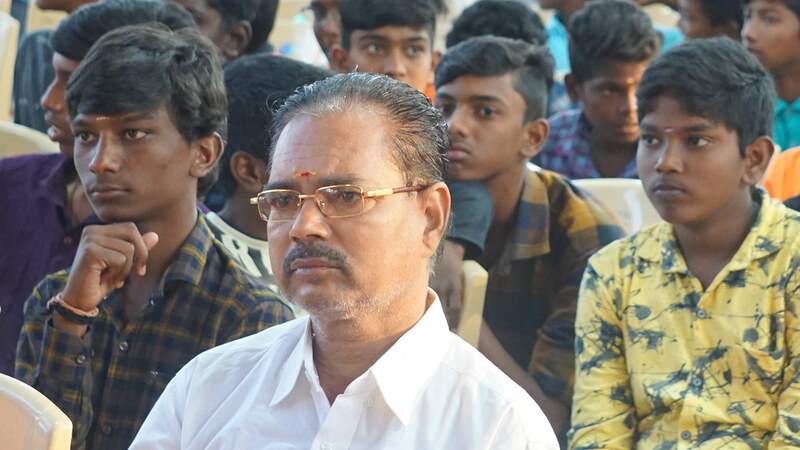 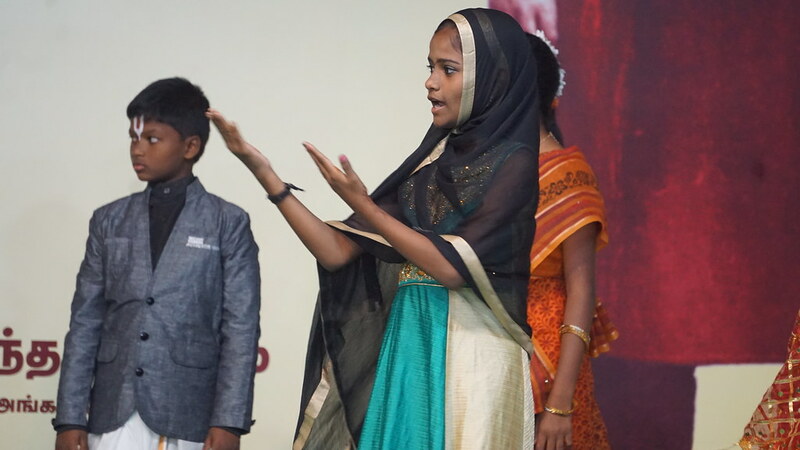 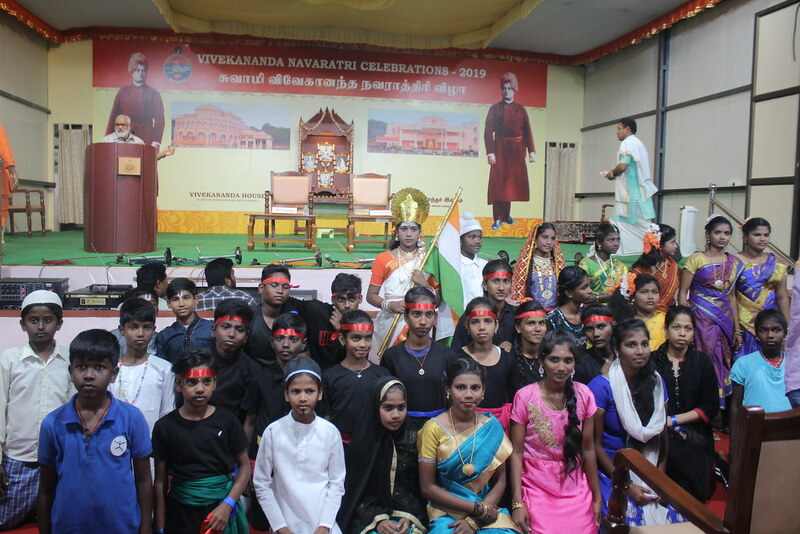 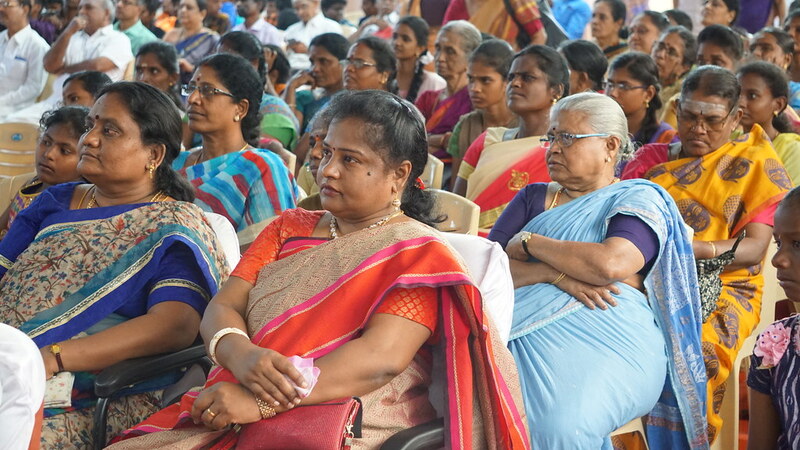 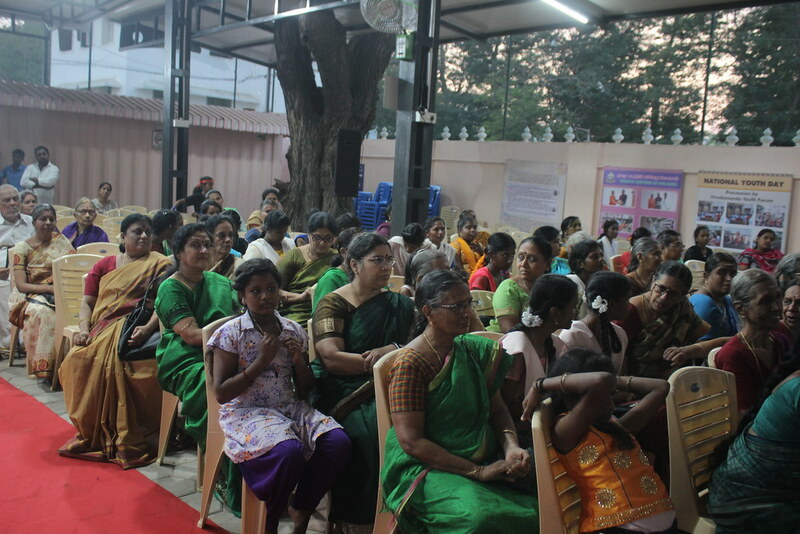 Kannaki Nagar students performed a cultural program that included short speech, dance, stick fighting, and musical drama on the topic “Arise, awake, and stop not till the goal is reached”, and “universal religion”. 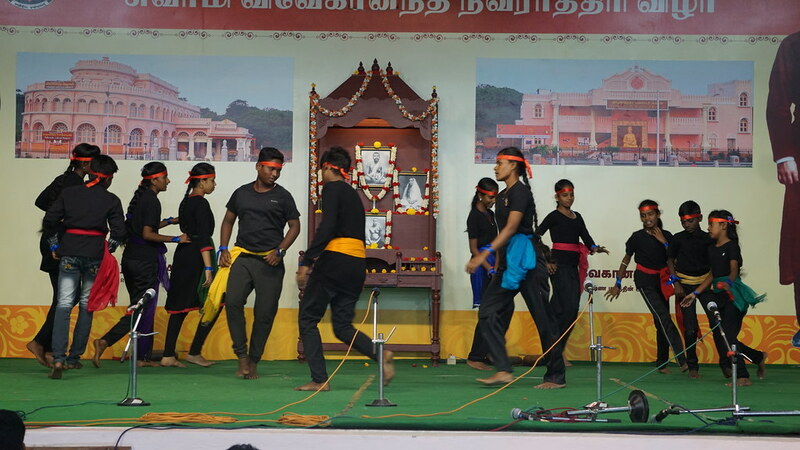 All of them performed well. 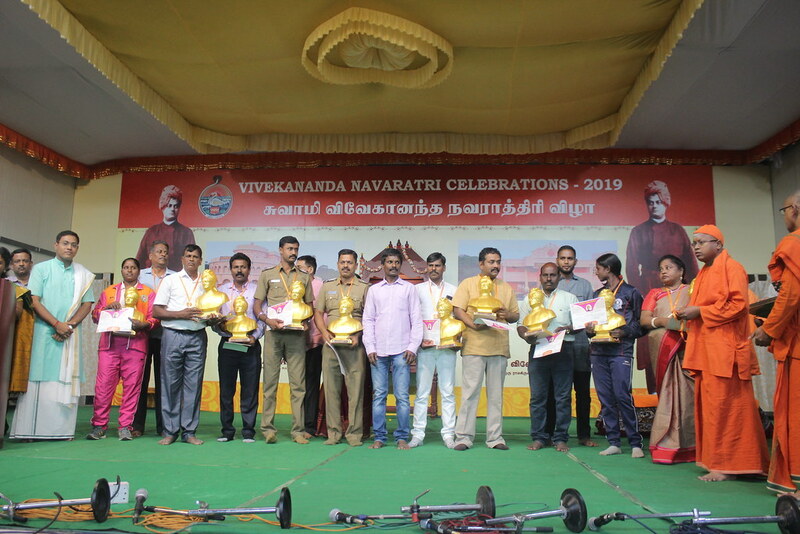 They were honored with mementos. 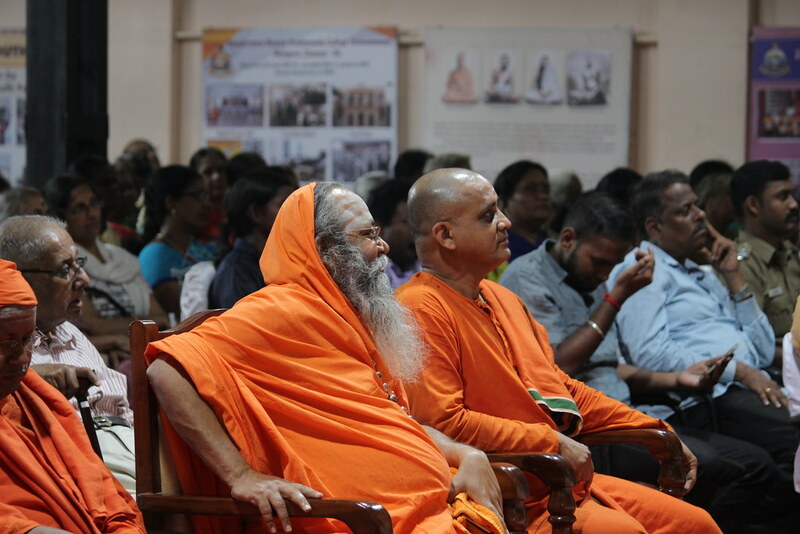 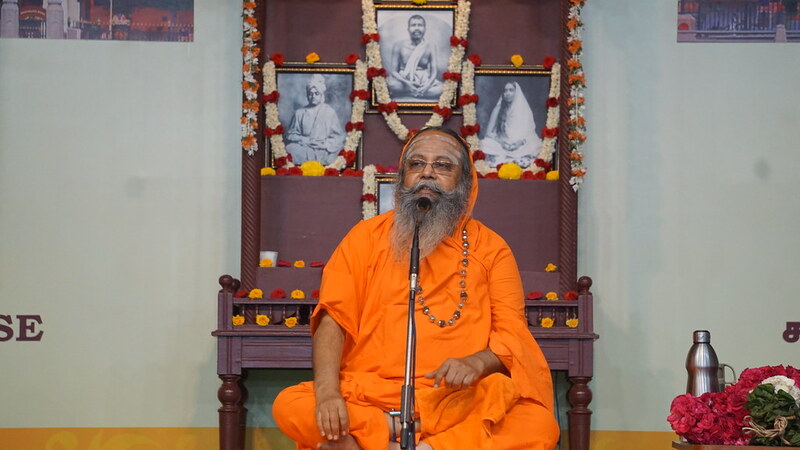 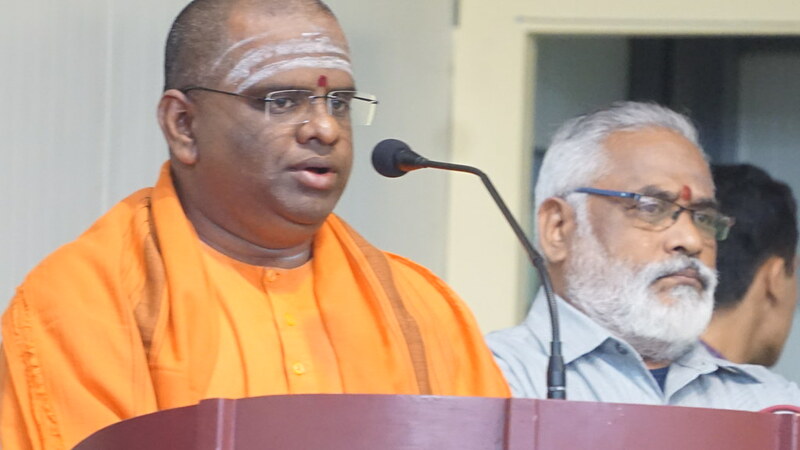 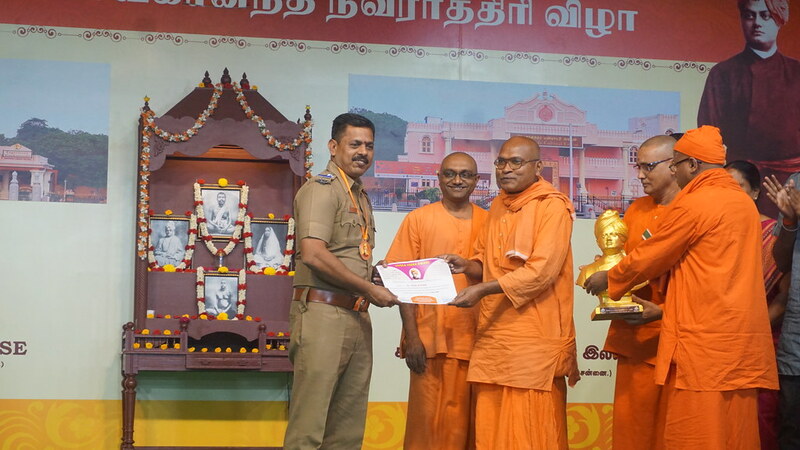 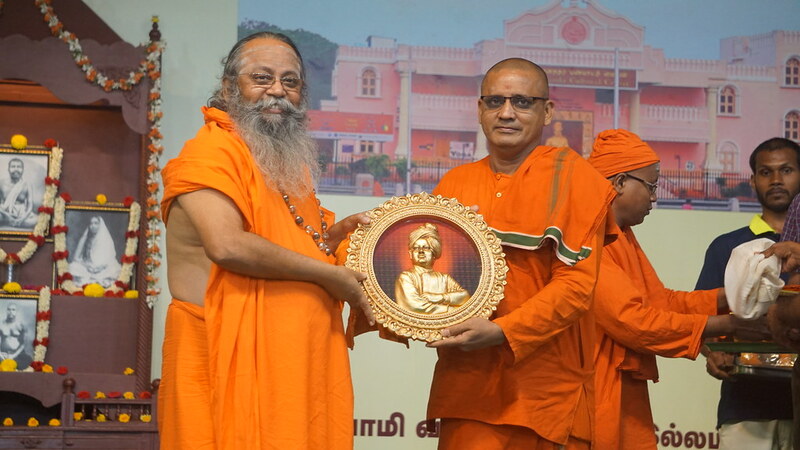 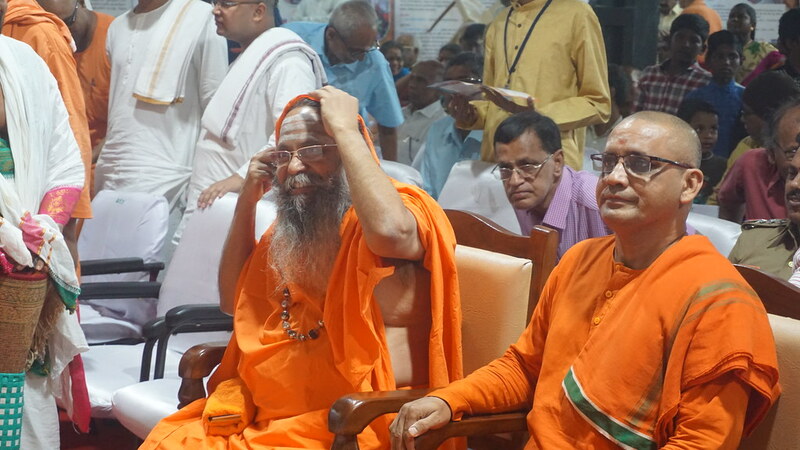 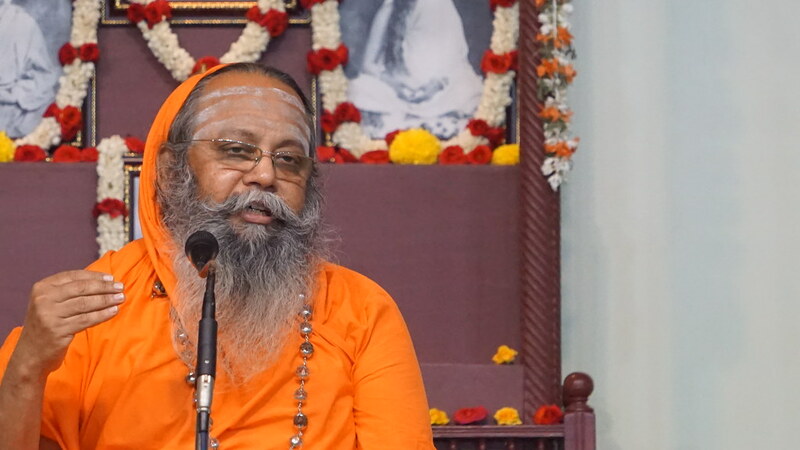 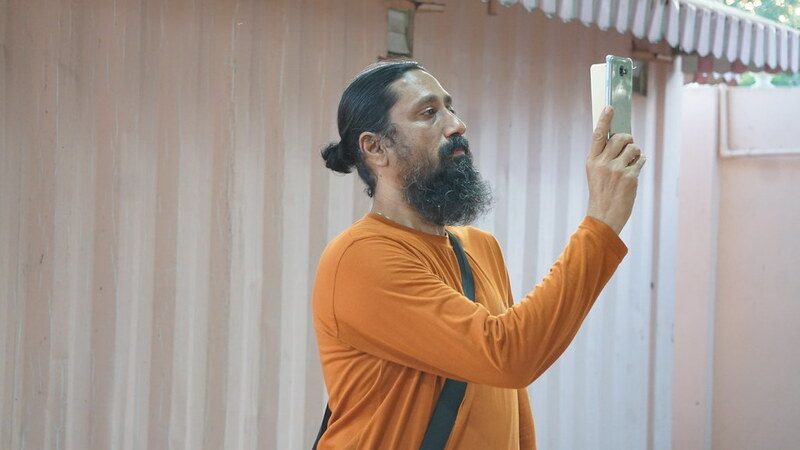 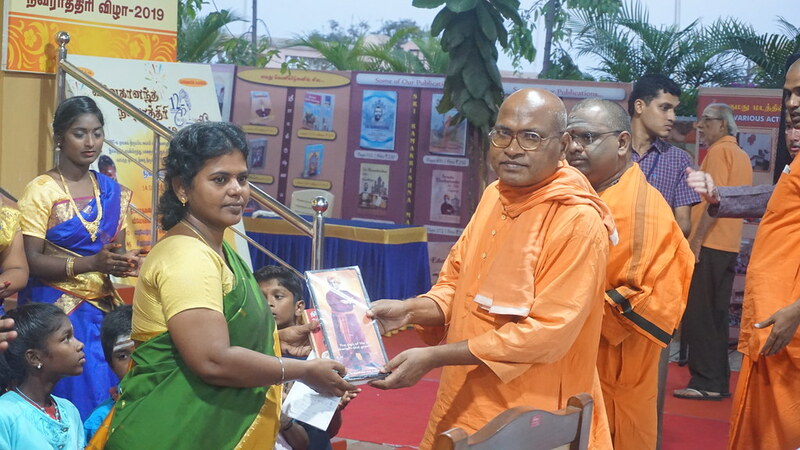 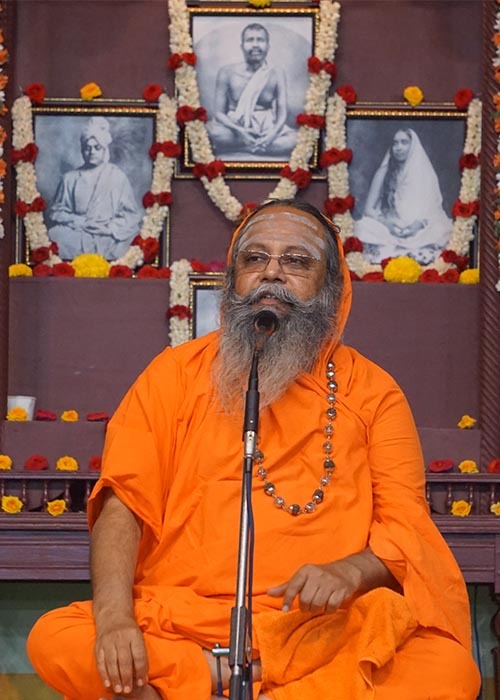 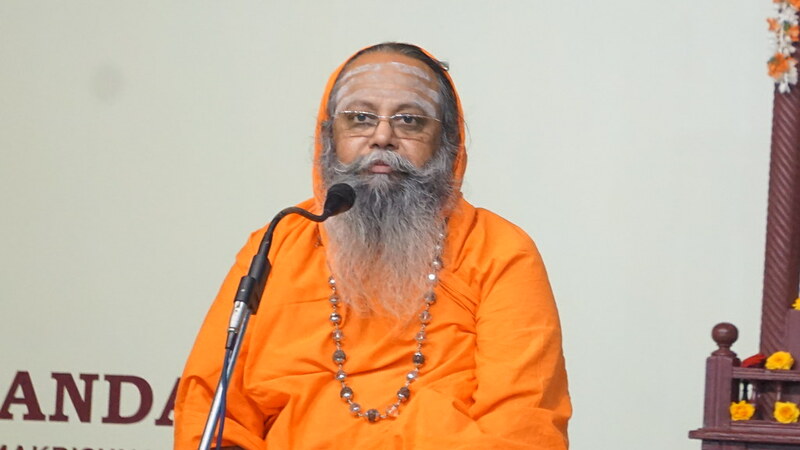 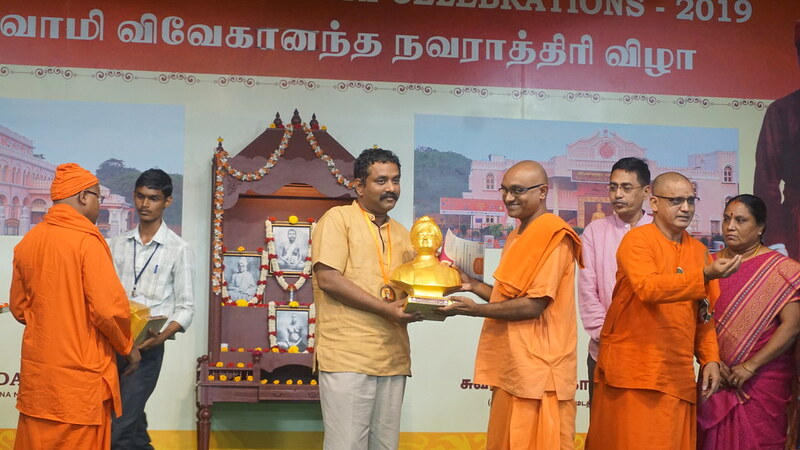 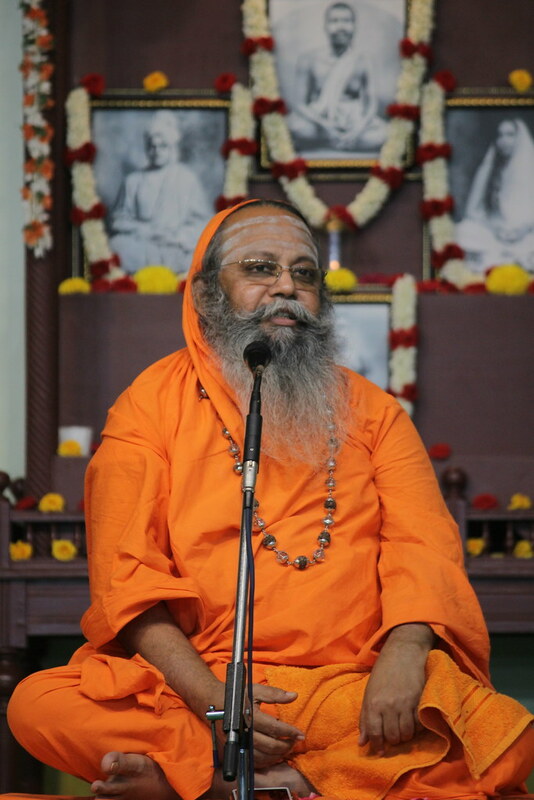 Swami Satyaprabhananda ji Maharaj, monk, Ramakrishna mission T. Nagar has narrated few interesting incidents happened recently and correlated them with the teachings of Swamiji. 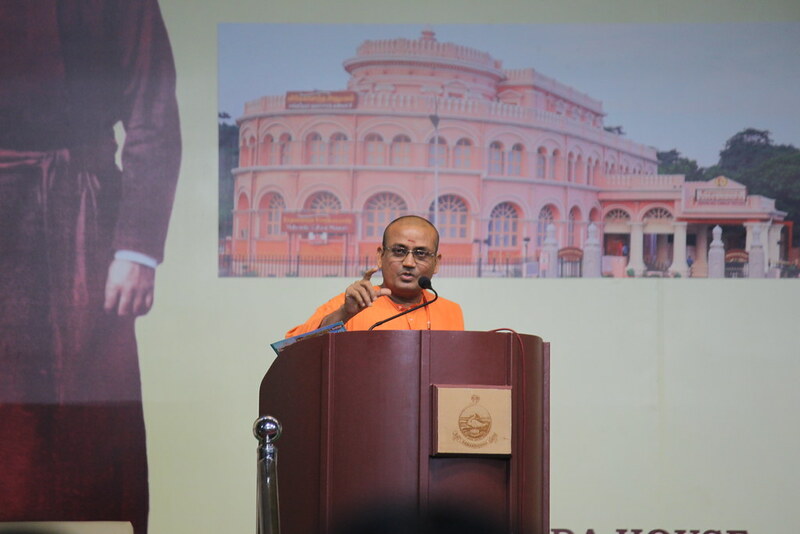 His lecture was informative, interesting and inspiring. 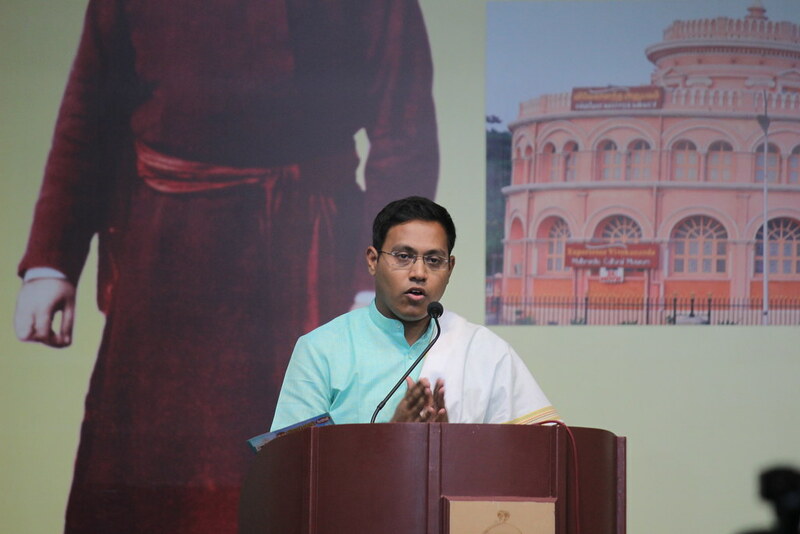 Sri C.A.Sathya, Founder, CEO & Chief Strategist of Tycoon Plus Advisors Pvt. 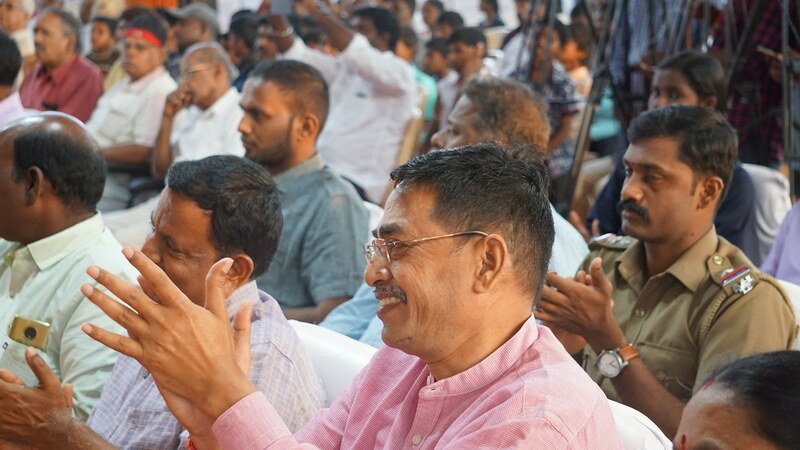 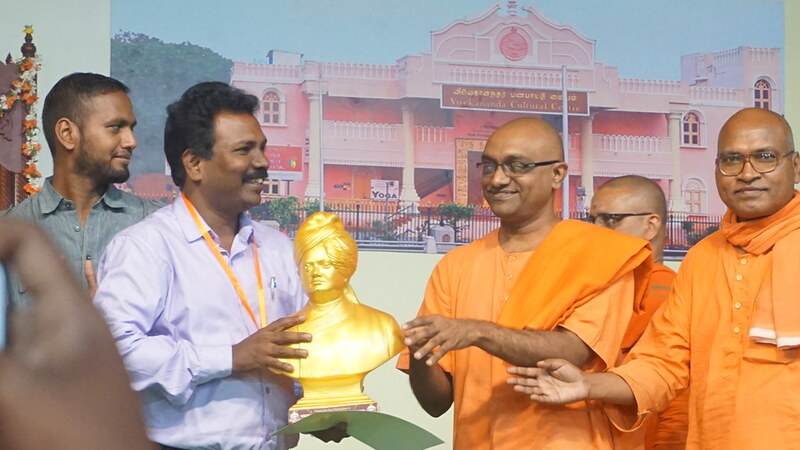 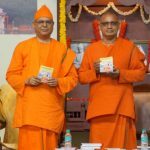 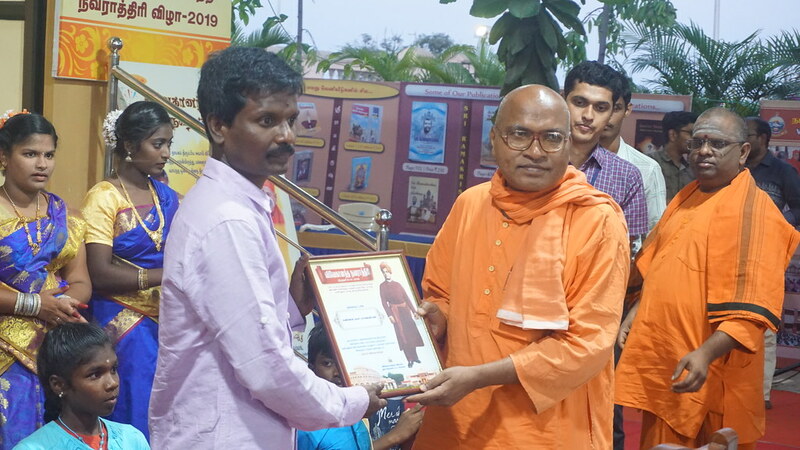 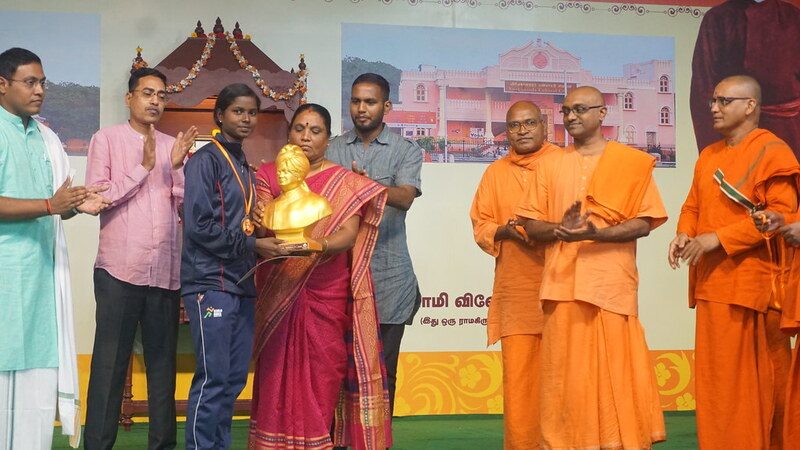 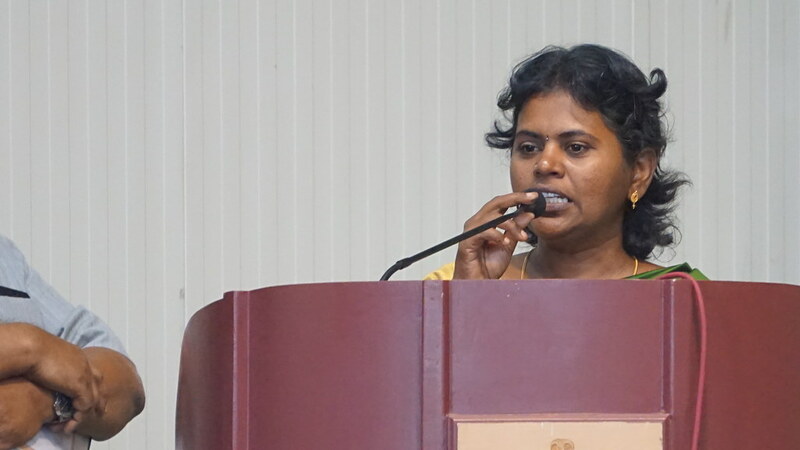 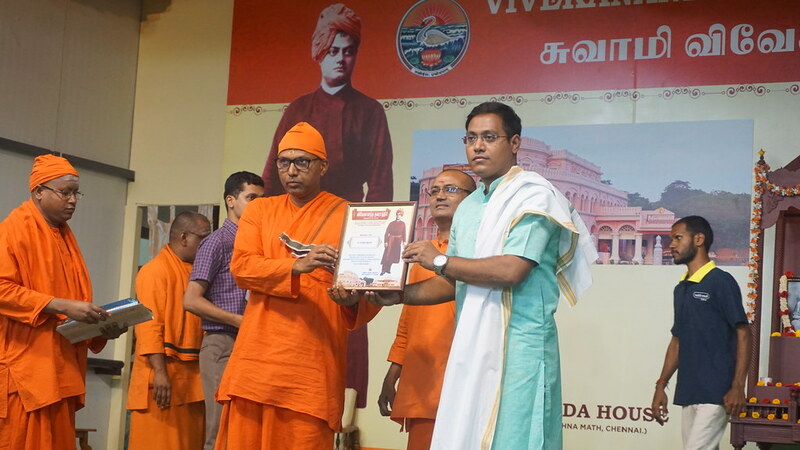 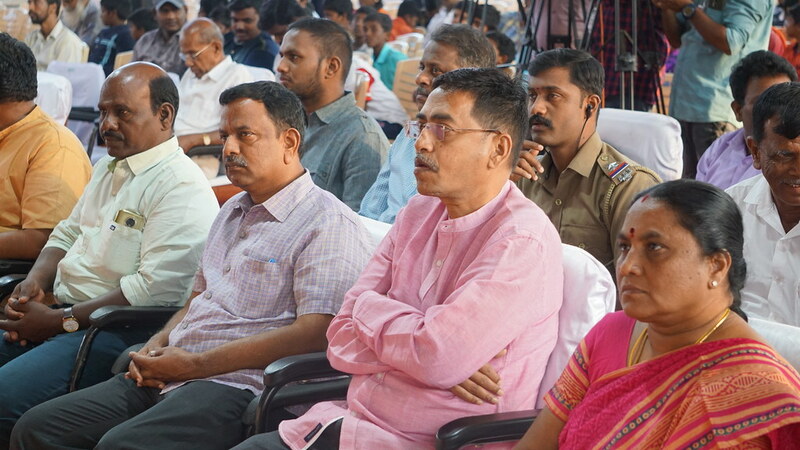 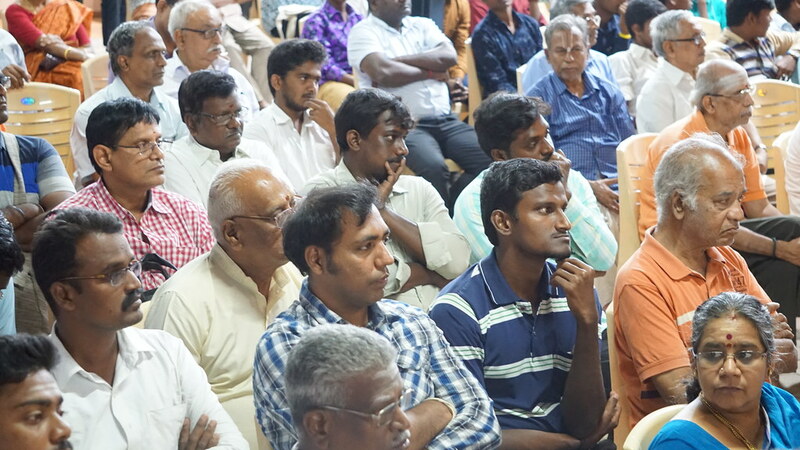 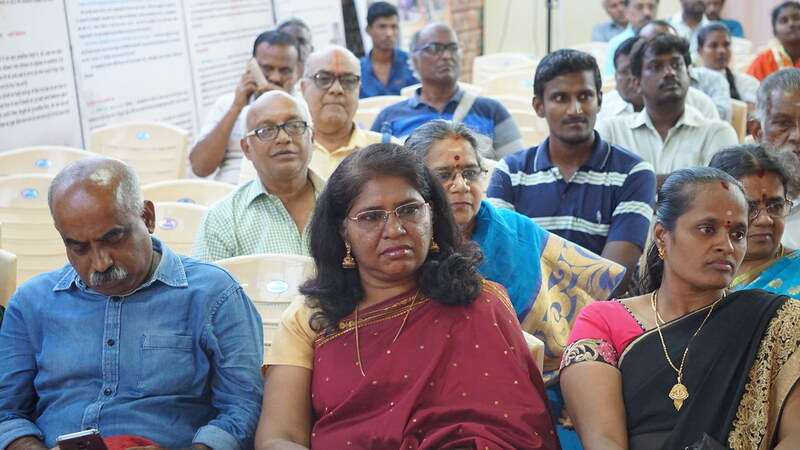 Ltd. has narrated as to how the teachings of Swamiji were relevant to uplift the economically and socially backward people and he produced many beneficiaries. 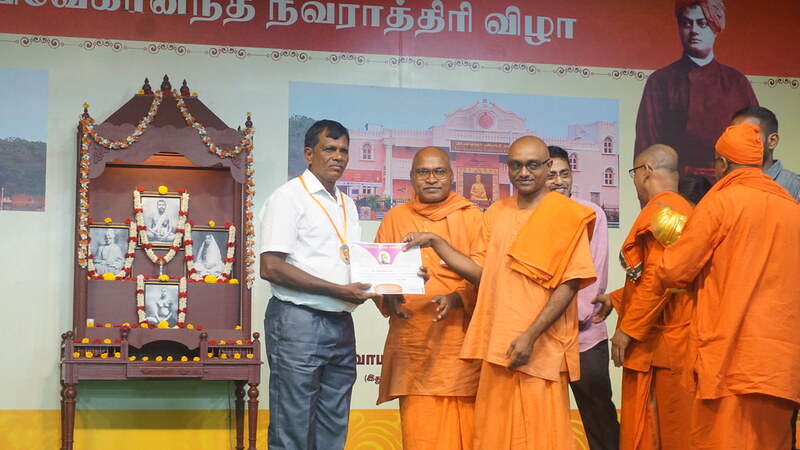 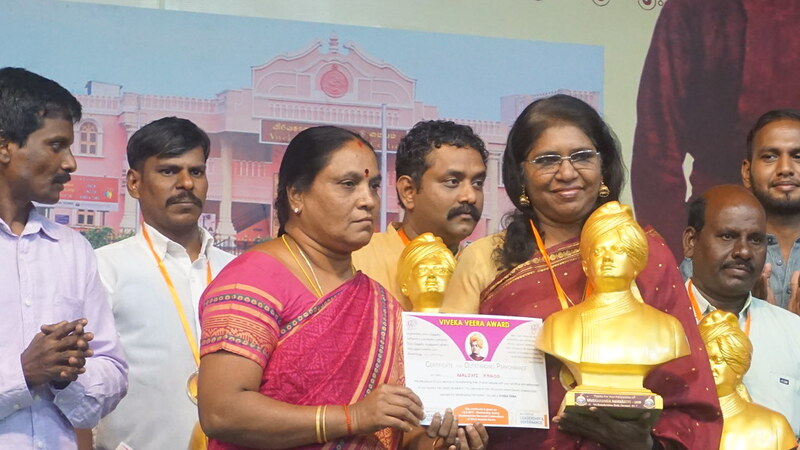 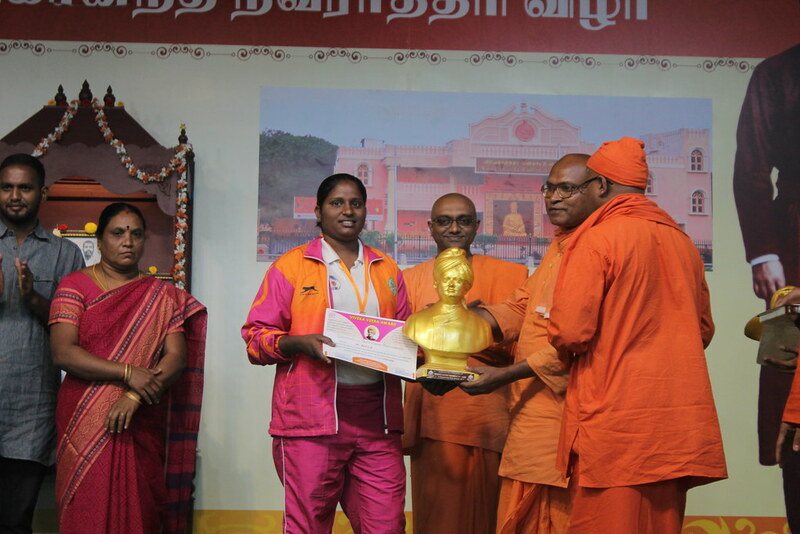 He arranged awards to those who have participated in their upliftment from all walks of life. 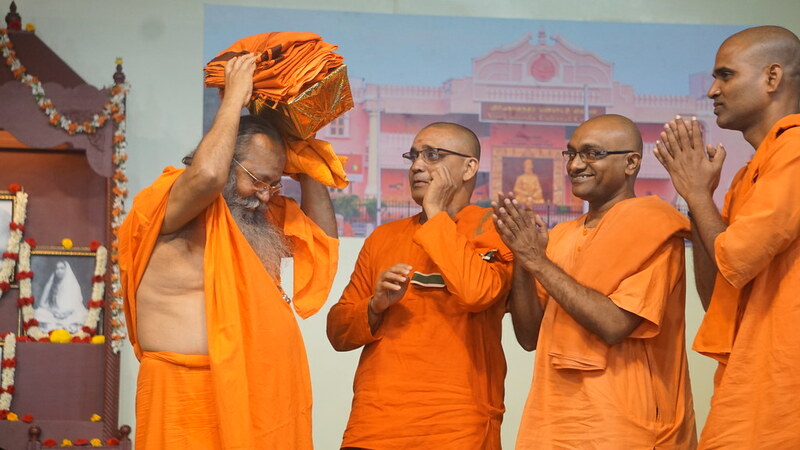 Swami Omkarananda ji Maharaj was felicitated with a dhoti, fruits, books, and mementos by revered Swami Vimurtananda ji Maharaj. 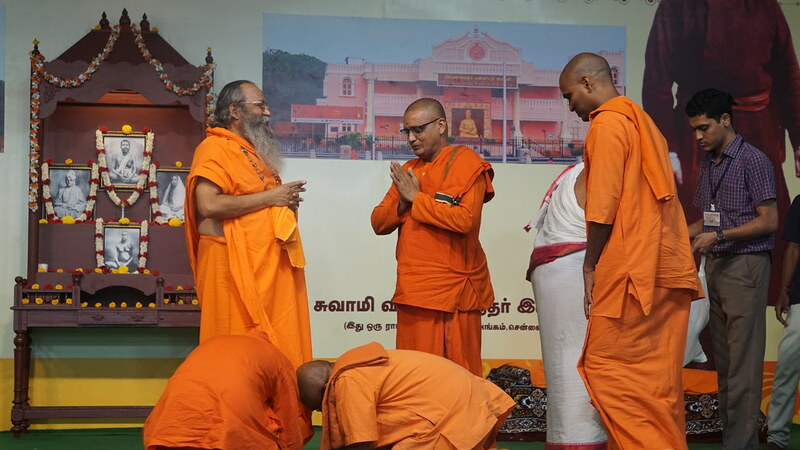 With a vote of thanks, prayers and distribution of Prasad the function concluded at 8.20 pm.